Hawaii Dental Clinic is currently accepting new patients. We provide comprehensive oral health services for new patients of all ages including families and children. We accept patients with insurance and patients without insurance at our Downtown Honolulu dental office. Appointments are available for all new patients. Please call our Kukui Plaza dental office at 808-538-6522 to schedule an appointment. Please inform the receptionist that you are a new patient when booking an initial appointment. Walk-in patients are accepted during normal business hours on a space available basis. The easiest way to receive a same-day appointment is to call or stop by our office in the morning. We can accommodate almost every new patient on a same-day basis. For more urgent needs, please see our dedicated page for more information about a Honolulu dental emergency. 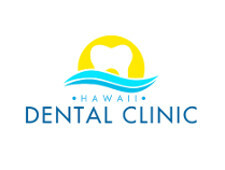 Hawaii Dental Clinic accepts all major dental insurance. See our page dedicated to information about dental insurance information for Hawaii. The most common Hawaii dental insurance carriers include HDS, HMSA, and HMAA. The most common national dental insurance carriers include Delta Dental, United Concordia, and US Life. We also accept many other dental insurance providers for all forms of dental treatment. Our front office staff will be happy to help verify your dental insurance coverage with no charge or obligation. The easiest way to have us validate your insurance policy is to stop by our office with ID and your insurance card. We are also able to validate your insurance information over the phone. Please call us at 808-538-6522 and be ready to provide your insurance information to our administrative staff. We are also able to validate your dental insurance coverage during your initial visit. However, please be aware that all patients are responsible for full payment once treatment has started. Therefore it is in your best interest to have your insurance card and insurance information verified by our professional staff prior to beginning any course of treatment. Hawaii Dental Clinic accepts new patients without dental insurance at our Honolulu dentistry office. You do not need to have dental insurance to receive treatment from our dentists.